Home » Uncategorized » New Newsletter! Just a quick one this time, but a little something that I got a kick out of today 🙂 I was very lucky to have been blessed with a pretty awesome childhood. My mum is a very creative person and never let us sit around doing nothing, even on a rainy day 🙂 We frequently had our living room table covered with an abundance of craft and art stuff, including several cones of yarn which I still remember vividly, one was a mustard yellow and felt like a coarse carpet yarn, another was bright green, what a combination! Yet I was very happy making various versions of these Gods Eyes, happily wrapping yarn around and around to make this lovely patterned item to hang on the wall. 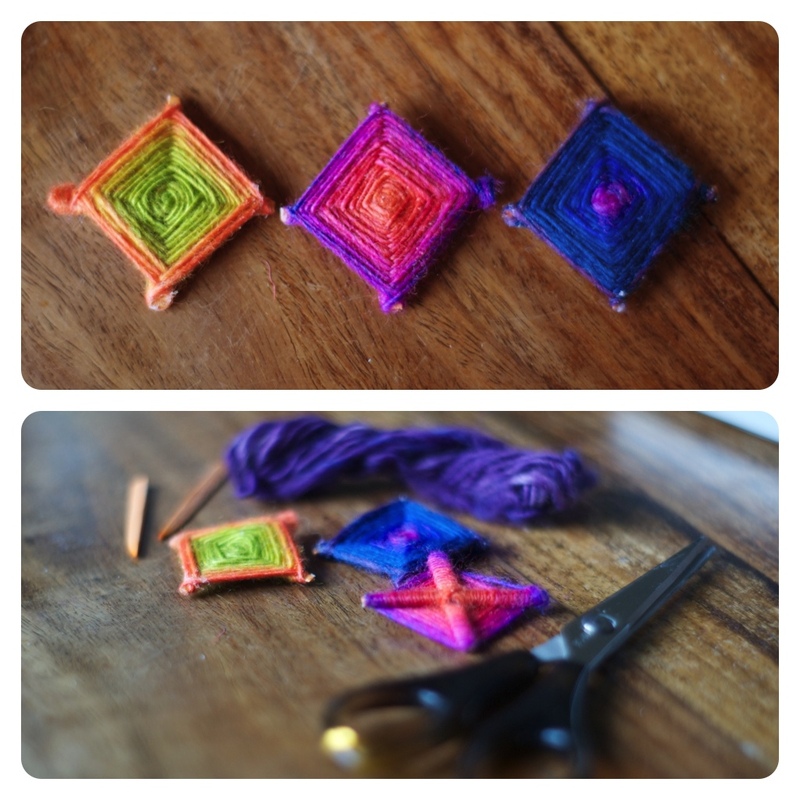 So my little mini tutorial in todays newsletter is a ‘how to’ wrap your own Eye of God yarn and stick art! I hope you enjoy it, and if you have any other ideas for things to do with these – items to add, threads to use, as well as potential end uses, please come back and share in a comment here! I would love some more inspiration! You can download it from THIS PAGE just scroll down to the last newsletter on the page, that is the newest! If you havent registered yet for get the download just follow the ‘register’ instructions and then login with the temp password you get in the email once you registered.